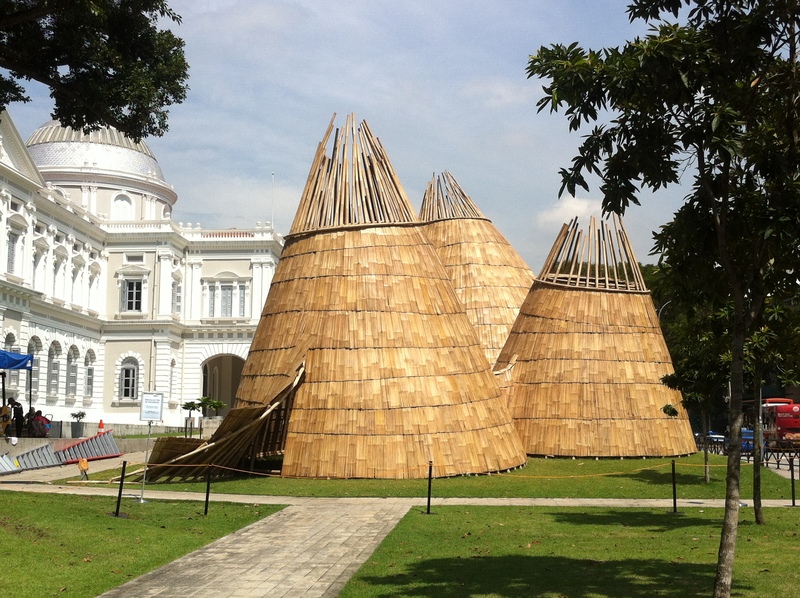 DomoGeo’s multi award-winning architect, Eko Prawoto, has been busy in Singapore for the past two weeks, installing a commissioned work for the Singapore Biennale. Here’s his final product, titled Wormhole. 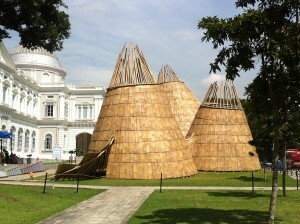 Installed in front of the National Museum of Singapore, Wormhole’s dramatic bamboo walls invite the public to leave busy urban life behind, and enter into an encounter with nature. Inside, visitors feel themselves slow down. 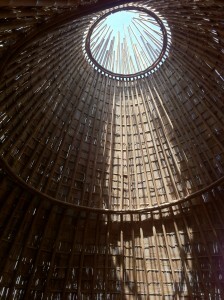 They view clouds passing above, and are enveloped in the smell and texture of the all-natural, volcano-like structures. This isn’t Eko’s first encounter with the art world – he’s exhibited other installations internationally, including presentations at the 2002 Gwangju Biennale as well as in Australia, Europe and Japan, and commissions by the Esplanade (Singapore) in 2011 and 2012. His artistic work is a far cry from what Eko does for DomoGeo, but there are some similarities. 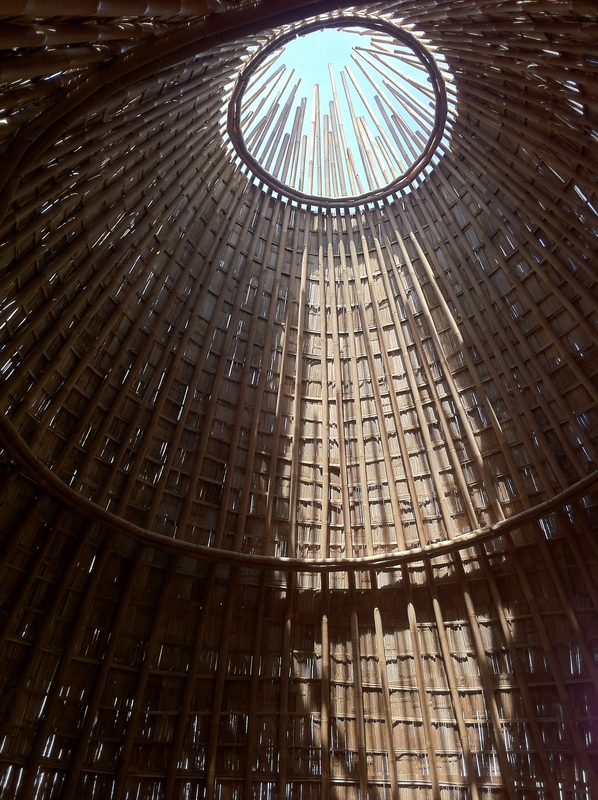 Eko’s art was made using bamboo, and his entire architectural practice is dedicated to using locally sourced, and often recycled, materials. His DomoGeo houses bear this stamp, using locally sourced, sustainable materials, windows and doors made of recycled plastic, and a carbon footprint markedly less than that of brick and cement housing. As for the world Eko wants to live in? He wants to bring man and nature closer together. The Singapore Biennale runs tomorrow through February 16, 2014.